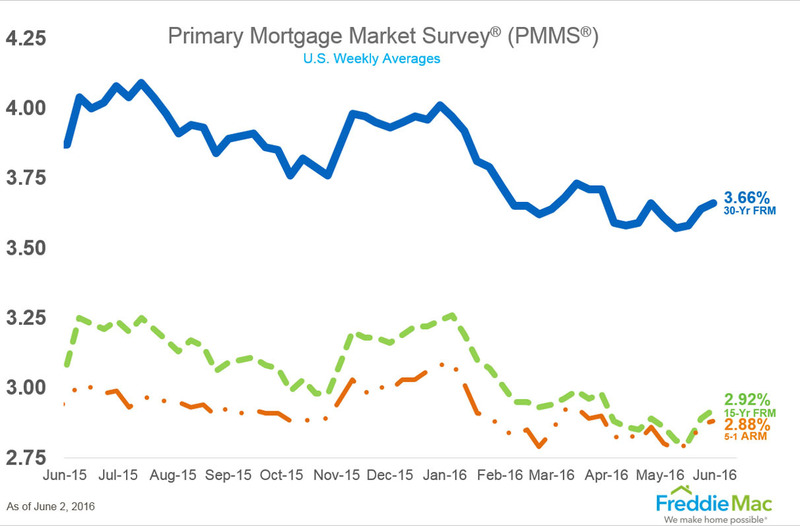 The 30-year fixed-rate mortgage (FRM) averaged 3.66 percent with an average 0.5 point for the week ending June 2, 2016. This was up from last week when it averaged 3.64 percent. A year ago at this time, the 30-year FRM averaged 3.87 percent. 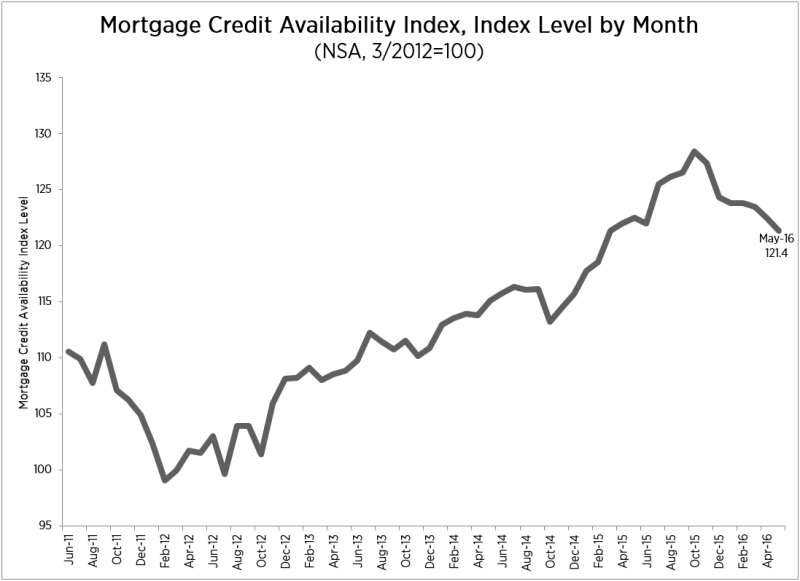 The MCAI fell to 121.1 in May 2016, indicating that lending standards are tightening. Month-over-month, it was down 0.8 percent. Of the four component indices, the Jumbo MCAI saw the greatest tightening (down 1.3 percent) over the month followed by the Government MCAI (down 1.0 percent), the Conventional MCAI (down 0.8 percent), and the Conforming MCAI (down 0.3 percent). The Market Composite Index, a measure of mortgage loan application volume, decreased 4.1 percent on a seasonally adjusted basis from one week earlier. The refinance share of mortgage activity increased to 54.3 percent of total applications from 53.7 percent the previous week. The average contract interest rate for 30-year fixed-rate mortgages with conforming loan balances ($417,000 or less) remained unchanged at 3.85 percent, with points decreasing to 0.36 from 0.37 (including the origination fee). Construction spending during April 2016 was at a seasonally adjusted rate of $1,133.9 billion. This is 1.8 percent below the revised March estimate of $1,155.1 billion. It’s 4.5 percent above the April 2015 estimate of $1,085.0 billion.